Take a closeted movie star, his domineering manager, and the reporter hell-bent on outing him…a South Beach party boy and a star-struck call girl…a reluctant hit man, his kind-hearted girlfriend, and a glamorous, lethal crime boss…a happy couple and a desperate televangelist. Simmer to a slow-boil in the South Florida sun…stand back as passions burn and secrets detonate. 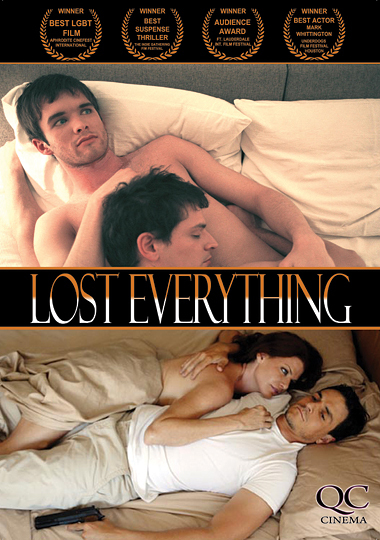 Lost Everything is a controversial, multi-plot line thriller that takes you on a ninety minute roller coaster ride of celebrity outing, deception, and love against all odds. Some people will do anything… to keep the things they have.